Yesterday I promised you in my Valentine's Day mani that I would publish my Valentine's makeup look today. Well, here we are ! 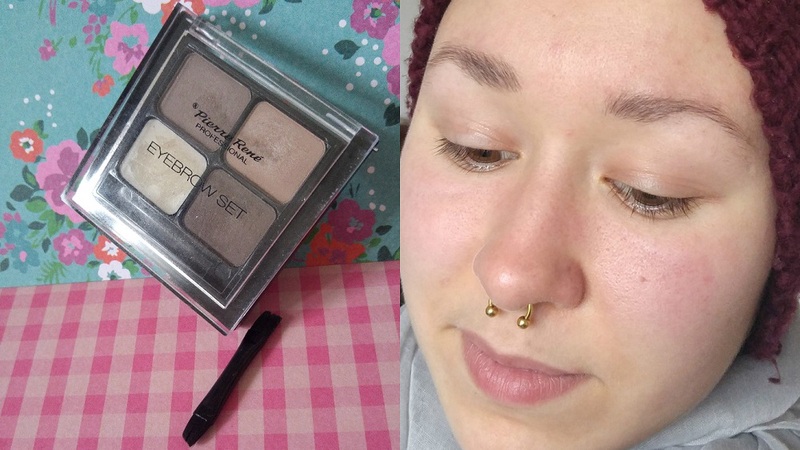 I deliberately chose affordable and efficient products and I created a soft pinky/mauve makeup, one that I would actually wear everyday. 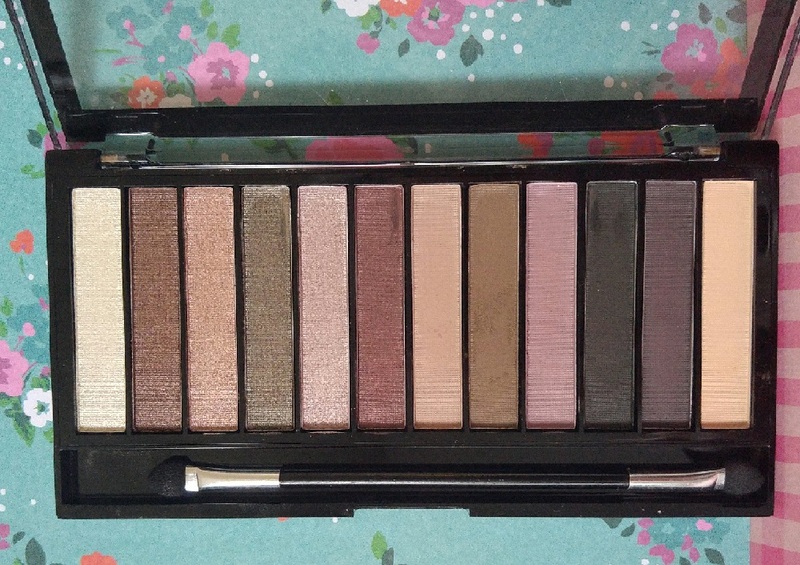 For the eye makeup, I used MUR Romantic Smoked palette, it's so cheap and so good, I expect to review it soon. 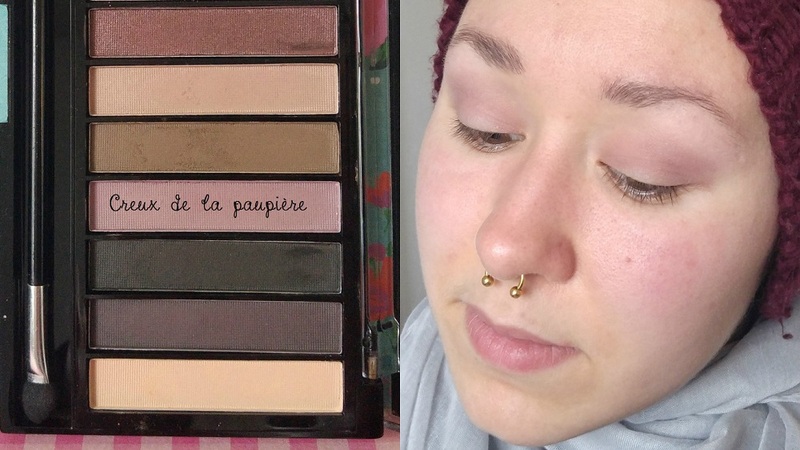 I only worked with the EcoTools blender brush for all the look and I have used the Pierre René Professional Eyebrow Set to define my eyebrows (I'll talk about this one in the days to come too). 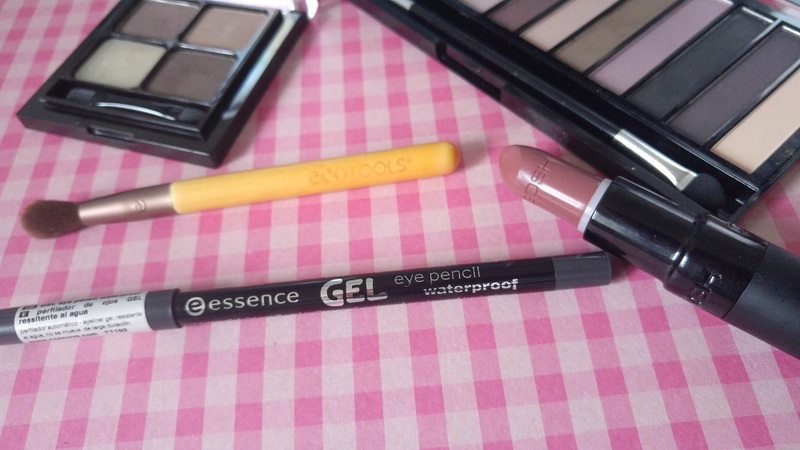 I also used the Essence Gel Eye Pencil Waterproof in 05 Gunmetal and ornated my lips with the wonderful Velvet Touch Lipstick in Sweetheart by GOSH. 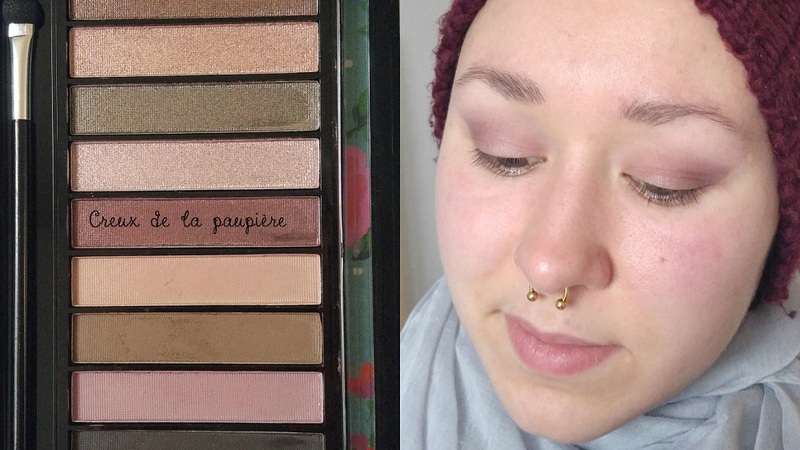 This palette is absolutely amazing and it's aptly named. 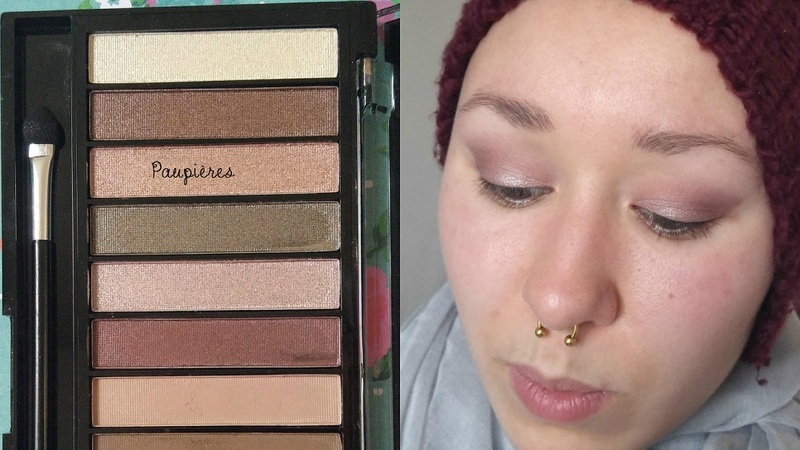 Soft eyeshadows, beautiful colors. I'm not telling any more for I'll tell you everything in detail when the time comes for a review of this marvel ! Let's go ! Step 1 : I used the wax and the medium eyeshadow from the Pierre René Professional Eyebrow Set to define my eyebrows naturally so it wouldn't be too dark or too elaborate. 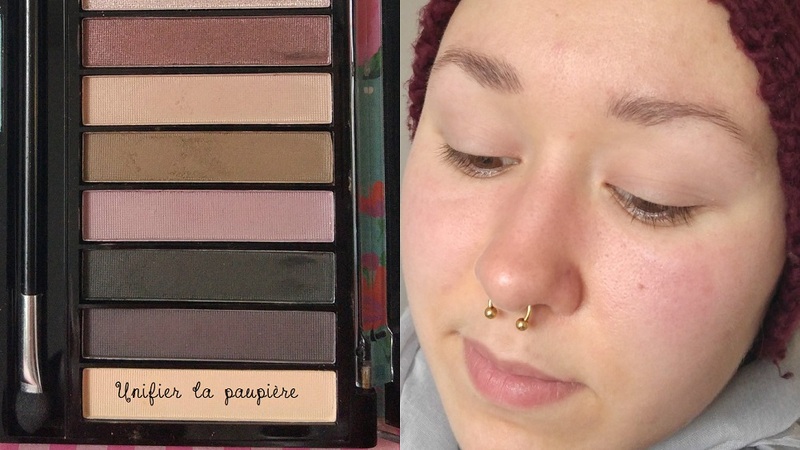 Step 2 : I used a flesh toned eyeshadow up to the eyebrow to unify my eyelids. Step 3 : The romantico-natural look begins with a matte lilac color in the crease that I stretched lightly into the inner corner and to the outer corner as well. Step 4 : Some more definition with a slightly shimmery burgundy eyeshadow that I stretched beyond the outer corner of my eyes. 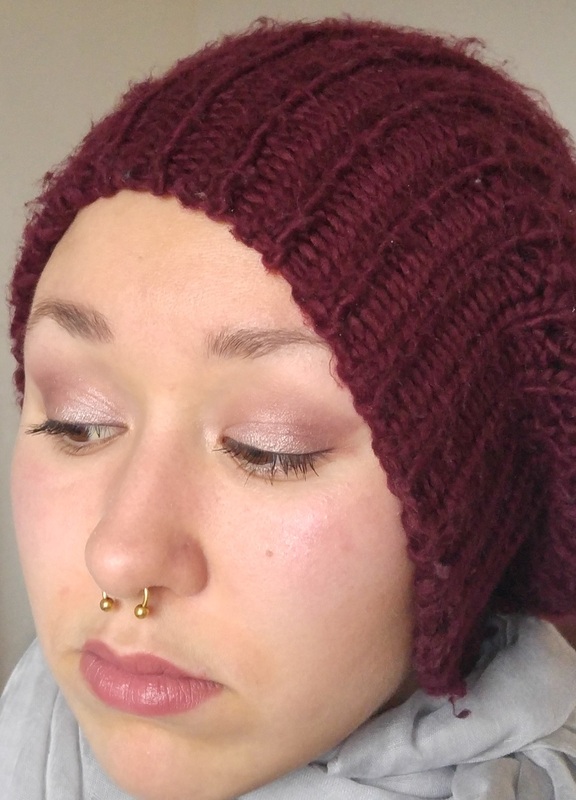 To get a cleaner and more "professional" look, I took a wet Q-Tip to mark off the end of the makeup : I followed the lower lash line up to the end of my eyebrows so I would get this lifted eye look. Some prefer to use a concealer when their eye makeup is done but I don't, I do think it's cleaner without a concealer I don't even really need. 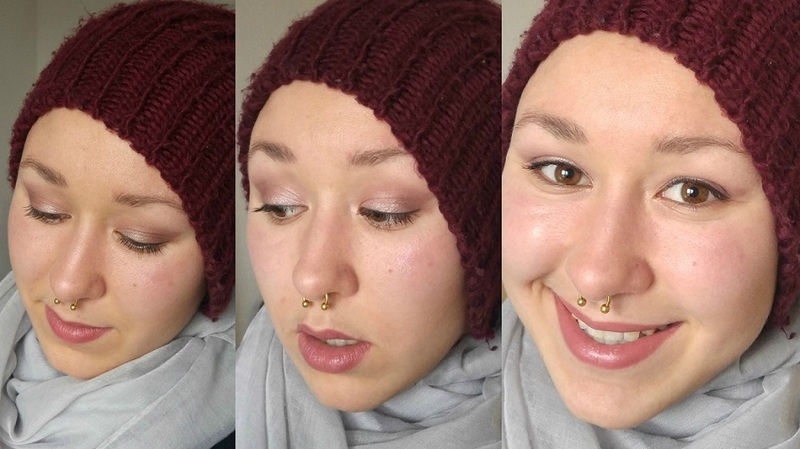 Step 5 : Some shimmery light pink eyeshadow on my eyelids that I blended lightly with the burgundy eyeshadow. Step 6 : I drew a thin grey eyeliner line and applied two coats of my Silicone Volume Mascara by Pierre René. Step 7 : Some lipstick on my lips, quite my all-time favorite, the magnificent Sweetheart by Gosh. Step 8 : A light contouring of my face with the Max & More blush in Bois de rose, the bronzer from the Ultra Sculpt & Contour Ultra Fair Kit from Makeup Revolution and some Peach Lights highlighter from MUR as well. Really light and soft. 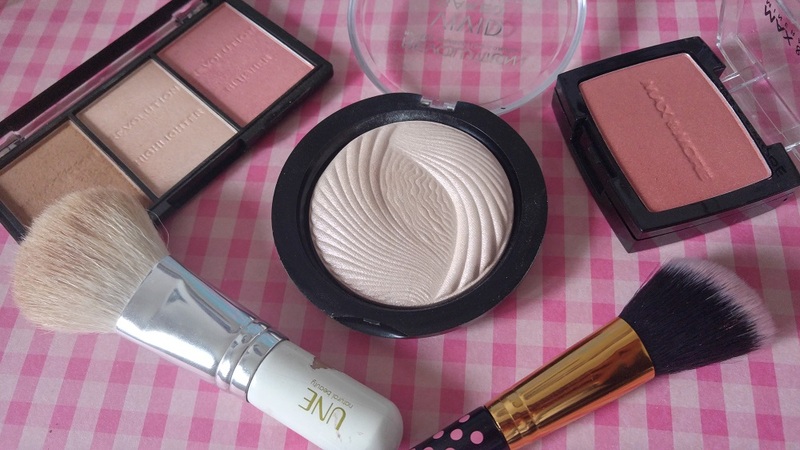 The blush brush is from the BH Cosmetics Pink-A-Dot Brush Set and the other one is from the brand UNE. What do you think of this makeup ? Like it or leave it ? Perfect or too subtle ? Have a happy Valentine's Day gals !